Caitlin Seaman loves to watch children come into Amazement Square for the first time. 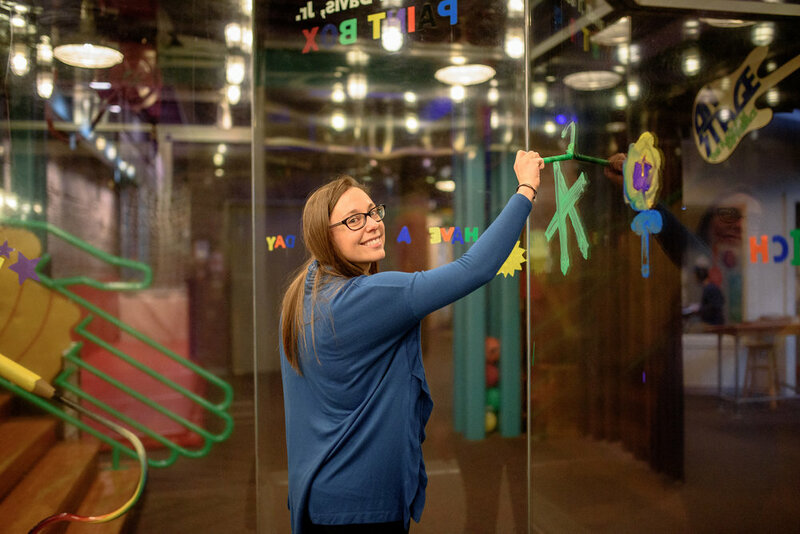 Caitlin works as Amazement Square’s Coordinator of Experiential Learning; as such, she helps to create programs and events for the region’s only children’s museum. She, along with the entire staff, is passionate about and committed to making the process of learning fun. 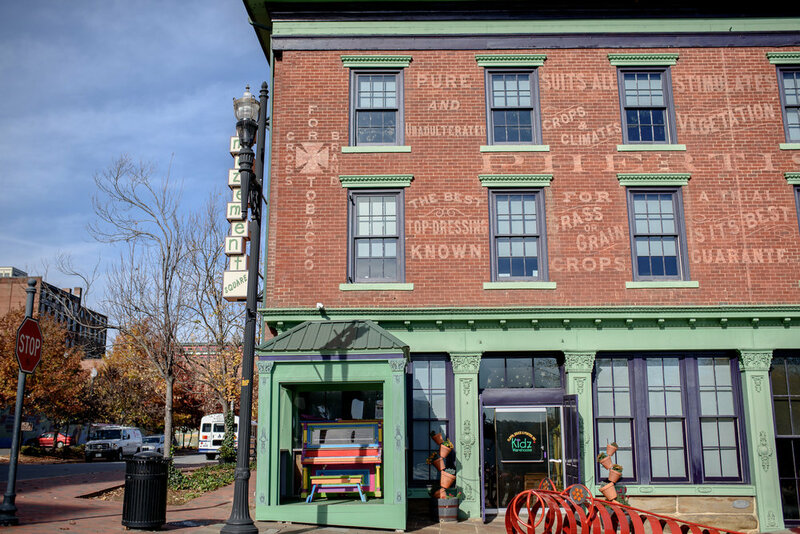 “One of the misconceptions about Amazement Square is that it's just a good place to bring your kids to play, but really there's an educational value to everything,” Caitlin said. When Caitlin begins planning a new program, she hones in on a central objective: What should the child learn through the experience? She researches what’s already been done on a particular topic and then finds ways to make it “bigger and better” for the children visiting the museum. She follows what children are interested in and connects with those topics to spark their imaginations. 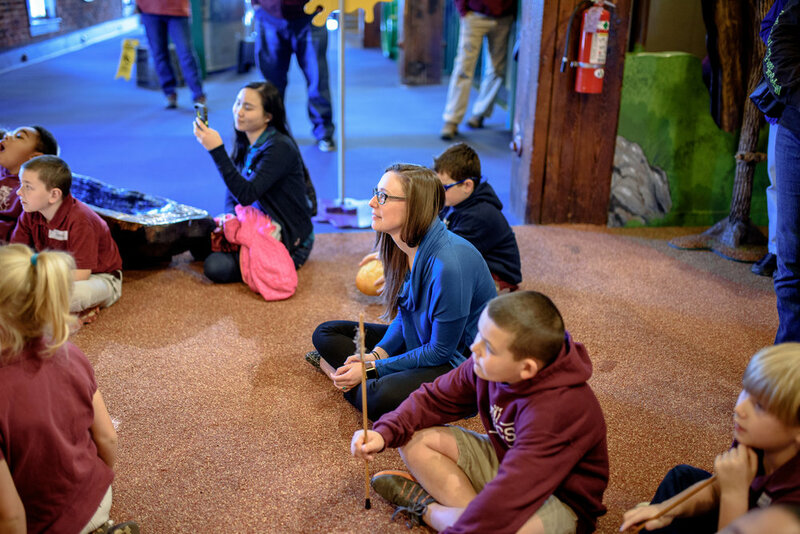 For example, Dino Days helps children to take their love of dinosaurs and dig into prehistoric times. They make dinosaur teeth and eggs and study what life was like way back then. And everything Caitlin plans for the children, she first tries out herself. 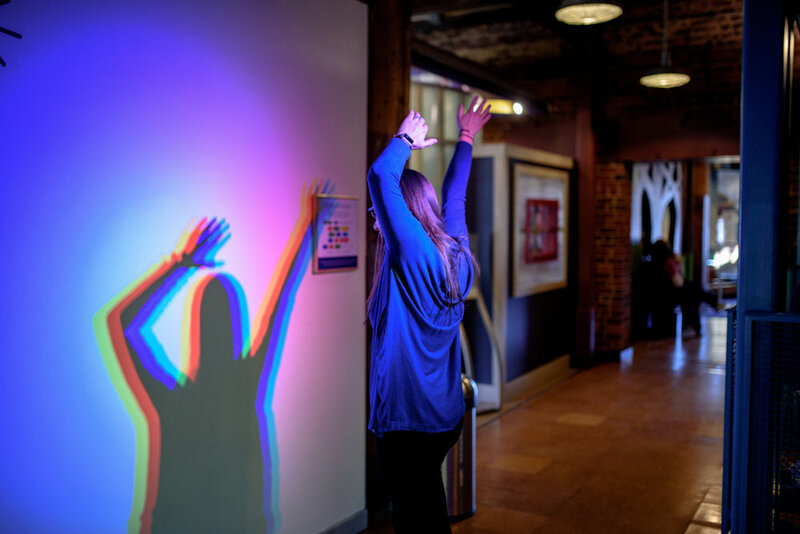 Amazement Square creates all of its exhibits, which is unusual for a museum. Usually, such detailed work is outsourced. Thus, developing an exhibition requires collaboration and creativity. “When we're planning a new exhibition, we take a big team approach. Everyone sits down in a room and thinks through the process: what's the goal, what do we want them to learn?” Caitlin said. That hard work has paid off, not only through the adoration of its visitors but also through national recognition. In May 2016, Amazement Square was awarded the National Medal for Museum and Library Service, the nation’s highest honor conferred on museums and libraries. Amazement Square, located on 9th Street, opened in 2001. After eight years of planning, the J.W. Wood building had been transformed from an abandoned 29,000-square-foot warehouse into a hands-on children’s museum. 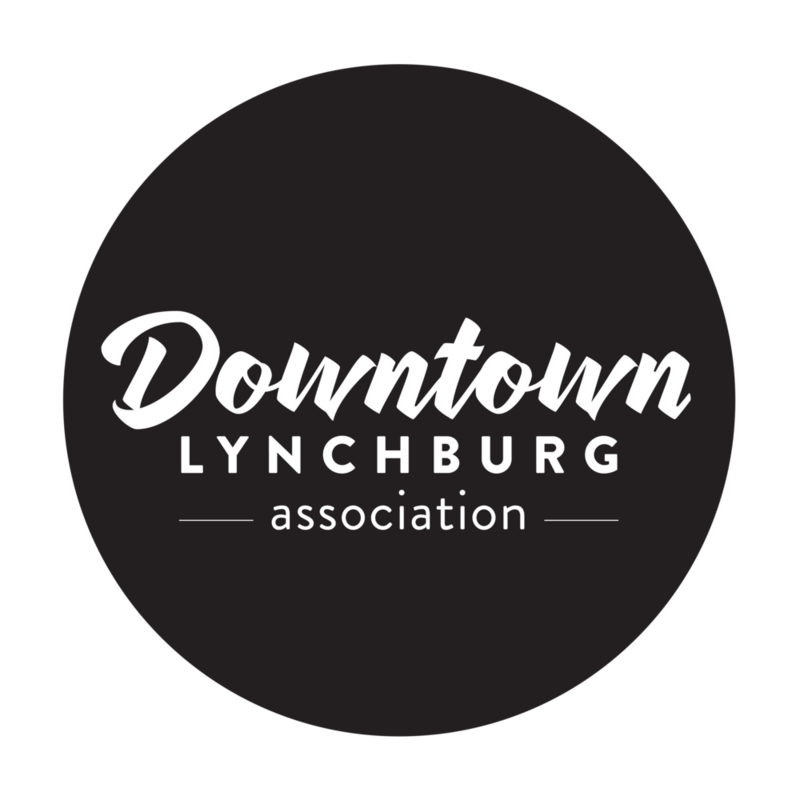 Several of the current exhibits focus on different historic time periods, one even telling some of Lynchburg’s history in conjunction with the water cycle. 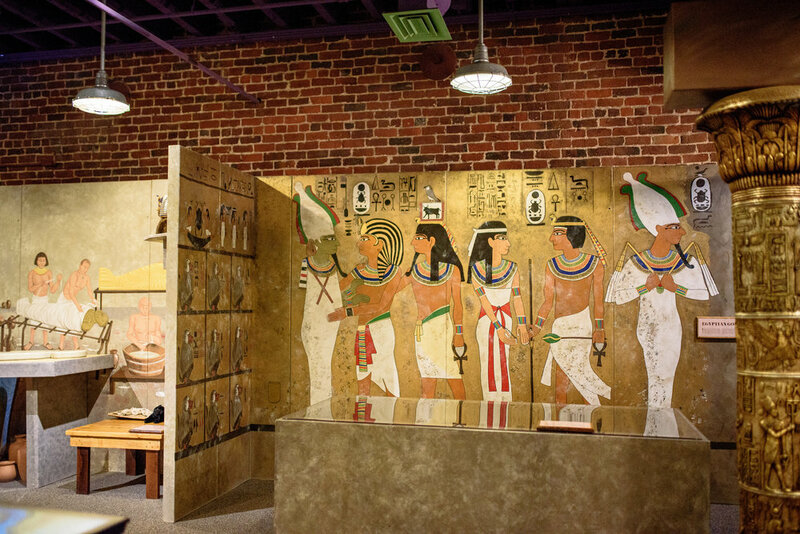 The museum’s exhibits also tend to tier the information, so various layers and activities are easily adapted for kids of all ages and developmental stages. And it’s no accident that this award-winning museum was built downtown. 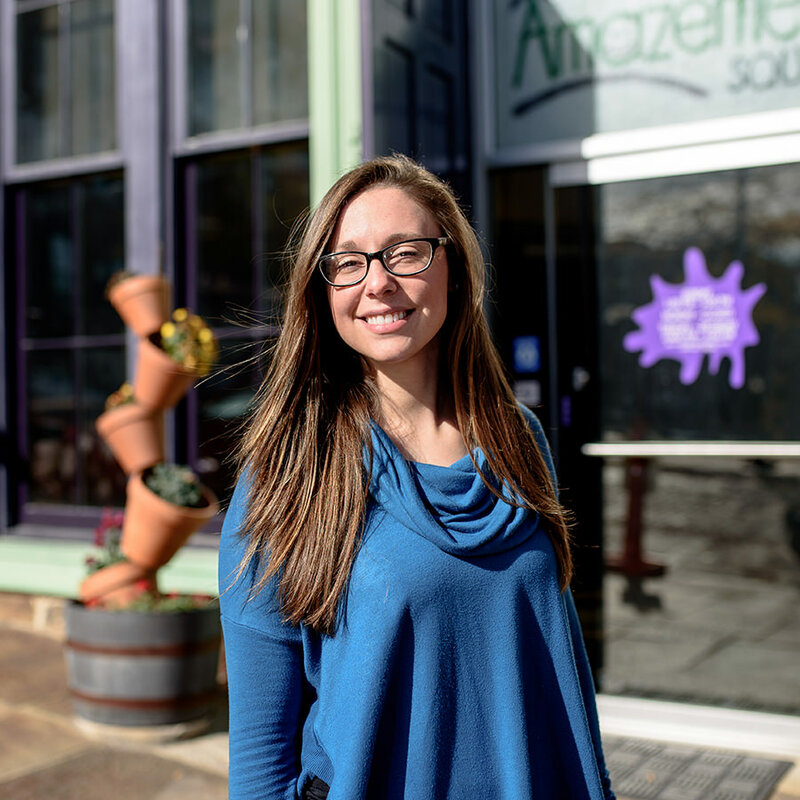 “Our purpose for starting Amazement Square downtown was that we wanted to be part of the movement to bring life back to downtown,” Caitlin said. 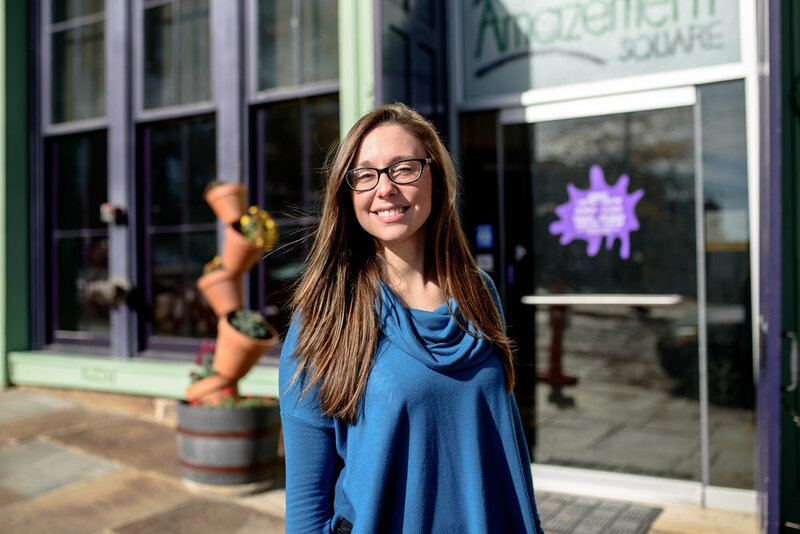 Today, Downtown residents such as Caitlin, who also lives here with her husband, benefit from the many restaurants, shops and galleries which have flourished since Amazement Square first moved in. Caitlin invites people of all ages to come visit Amazement Square. Not only can you experience what she and the Amazement Square team are making, but you can even join in one of their popUP Makeshops — a “mobile tinkering” experience. 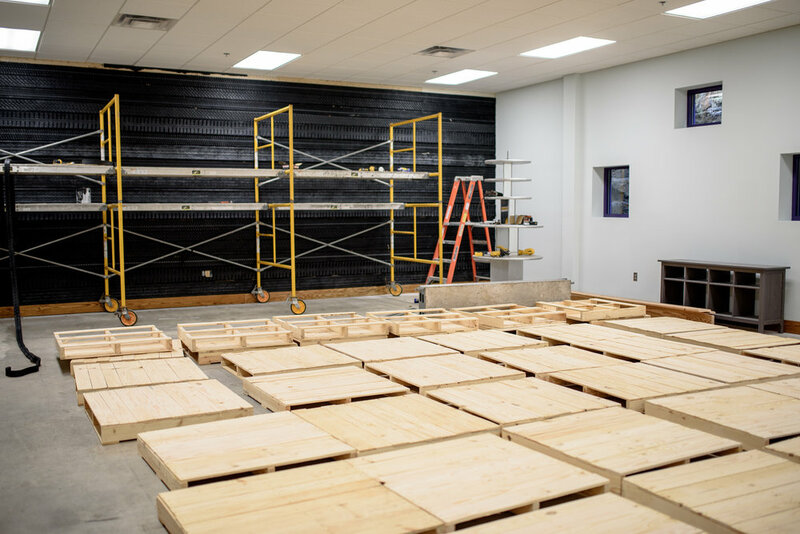 With the opening of the museum’s new education space, there will be even more room for making!